I was so tired after all the last minute preparation and working yesterday that i fell asleep by 8pm, so kimmy had to go downstairs at 11pm to put all the presents out and eat santas mince pie and rudolfs carrot. But because i fell asleep so early, i also woke early. 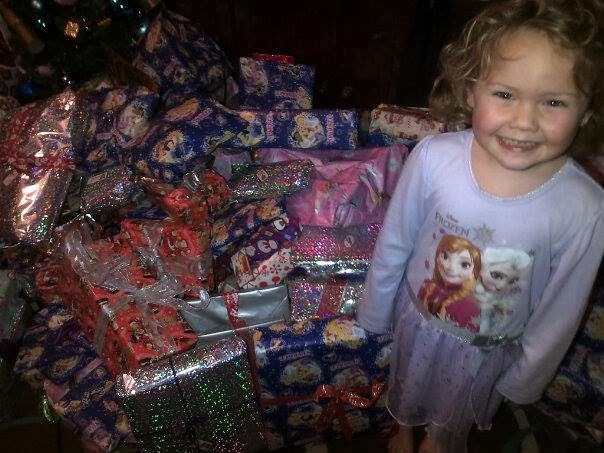 Finding myself awake at 2am, i went downstairs to add bows and finishing touches to the gifts, before being very naughty and waking Tilly up to open some presents. It was a little bit of time for just me and her before the whole mayhem of christmas day started. Then we went upstairs to find her stocking on my bed that was over flowing with gifts. she opened a few, mumbling that she hadnt got an innotab and then left the rest for when she awoke later. At 6am i was a wake again, so this time i decided the whole family had to wake up. 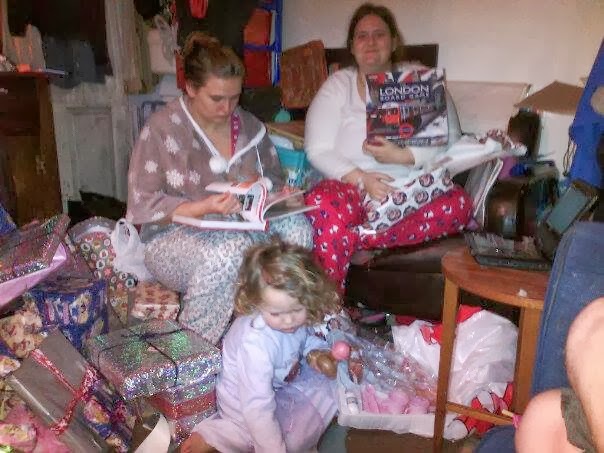 so as we do every year, the kids all came and sat on my bed and we opened our stockings before going down stairs and tilly blurting out that she had already opened a few presents lol. Normally every year, we open a few presents and then have mince pies and cream for breakfast, open a few more before prepping everything for a christmas dinner. 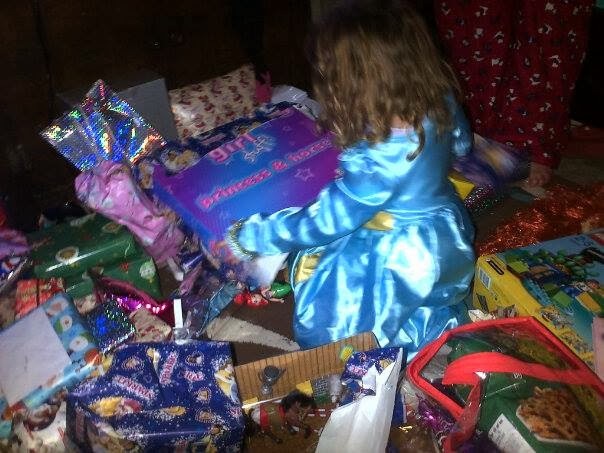 then we open most of the presents after lunch, but this year a certain little girl wanted to do it differently lol, we opened a few, had the mince pies for breakfast and then she just kept opening her presents ..... and it went on...... and on...... and on.